Why do I Need to Know DTI? There are several factors in determining if you are ready and able to afford a new home. 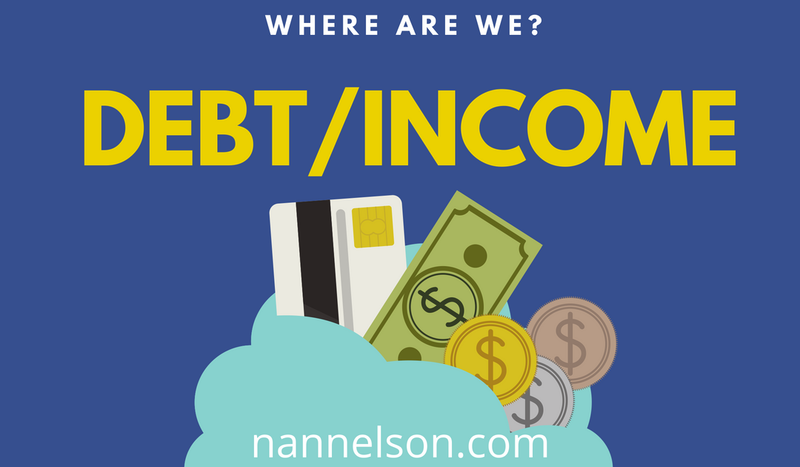 The easiest way to start is by figuring out your debt to income ratio (DTI). This is where financial lenders usually begin. Knowing your debt to income ratio will help you discover if you are financially in a good place to take on the debt of owning a home. It helps the lenders know if you have enough wiggle room in your budget to make your house payments. Keep in mind that the DTI is not the only aspect of an individuals finances that lenders look at to determine creditworthiness. They also look at things like your credit score, income sources, assets, and sometimes references. To calculate your DTI you need to know the total amount of all your debts on a monthly basis. This includes any kind of loans such as car loans, student loans, personal loans, and private loans (like from family). You also have to include any credit card debt no matter how big or small as well any outstanding medical bills. Then you need to know the total amount of gross income you have from employment, self-employment, odd jobs, social security, retirement and any other sources of income including child support or alimony. Gross income is the amount of income before taxes and insurance are taken out of your paycheck. Next, you divide the total amount of debt by the total amount of income and multiply by 100 to get a percentage. Let’s say your total amount of payments that go toward debt adds up to $1,690 and total gross income is $2,500 per month. In another example let’s say your total debt payments were $850 and your gross income was still $2500 per month. As you can see in the examples the less debt you have the smaller your DTI which is a good a thing. On average lenders like to see a DTI less than 28%. This basic calculation is referred to as the front-end ratio. What about all the other monthly expenses? You could do the same calculation and include all your monthly expenses such as utilities, groceries, gasoline, etc just add it to the debt side of the equation. This calculation is called the back-end ratio. This ratio will be higher because it takes into account all of your monthly expenses in addition to your debt. Again the lower the ratio the better it looks to a lender and you will have the confidence to know that you can comfortably afford a home rather than squeaking by paycheck to paycheck. A back-end ratio of 36% or less is a good number to strive for when deciding if you are ready and able to buy a home. Which DTI ratio is more valuable? Lenders typically look at both the front-end and back-end ratios. Usually, the back-end ratio holds more weight because it takes into account all your expenses. The only drawback is that it is based on gross income and not net income. Net income is the actual amount of money we get from our paychecks to spend, after taxes and insurance. If you wanted to know for your own purposes what your DTI would look like using your net income simply plug in the net monthly income into the formula instead of gross monthly income. If your DTI still comes out below 36% then you are in good shape and ready to move onto the next step of deciding if you are able to buy a home, which is checking your credit score and/or cleaning up your credit. The higher your DTI ratio the more likely you are going to encounter difficulties in qualifying for a mortgage loan. You will also be more likely to struggle to make ends meet. If your current DTI is too high don’t apply for a mortgage yet. There is no shame in waiting another year while you pay down your debt before applying for a mortgage. Getting your finances in order so you can present yourself as someone with good credit is better than presenting yourself as someone with more debt than they can financially handle. Even if you aren’t trying to decide if you are ready to buy a home, knowing your DTI is a good thing to know in general. It gives you an overall idea of where you stand within your budget. It’s a bigger picture of whether or not you are spending your money wisely or blowing it all on debt. It is a beginning step toward getting a handle on your finances so you will be prepared to be a homeowner when the time is right. Plug in your numbers and automatically check your Debt-to-Income Ratio with this FREE Excel worksheet. Success! Now check your email to download your Debt-to-Income Ratio worksheet. My goal is to supply guidance and support to you throughout your real estate buying and selling needs in a manner that treats you like you want to be treated.